IBM Research has announced that effective Wednesday May 4, it is making quantum computing available free to members of the public, who can access and run experiments on IBM’s quantum processor, via the IBM Cloud, from any desktop or mobile device. IBM believes quantum computing is the future of computing and has the potential to solve certain problems that are impossible to solve on today’s supercomputers. The quantum processor is composed of five superconducting qubits and is housed at the IBM T.J. Watson Research Center in New York. IBM’s quantum architecture can scale to larger quantum systems. It is aimed at building a universal quantum computer that can be programmed to perform any computing task and will be exponentially faster than classical computers for a number of important applications for science and business, IBM says. IBM envisions medium-sized quantum processors of 50–100 qubits to be possible in the next decade. With a quantum computer built of just 50 qubits, none of today’s TOP500 supercomputers could successfully emulate it, reflecting the tremendous potential of this technology. This leap forward in computing could lead to the discovery of new pharmaceutical drugs and completely safeguard cloud computing systems, IBM believes. It could also unlock new facets of artificial intelligence (which could lead to future, more powerful Watson technologies), develop new materials science to transform industries, and search large volumes of big data. Coupled with software expertise from the IBM Research ecosystem, the team has built a dynamic user interface on the IBM Cloud platform that allows users to easily connect to the quantum hardware via the cloud. In the future, users will have the opportunity to contribute and review their results in the community hosted on the IBM Quantum Experience and IBM scientists will be directly engaged to offer more research and insights on new advances. IBM plans to add more qubits and different processor arrangements to the IBM Quantum Experience over time, so users can expand their experiments and help uncover new applications for the technology. 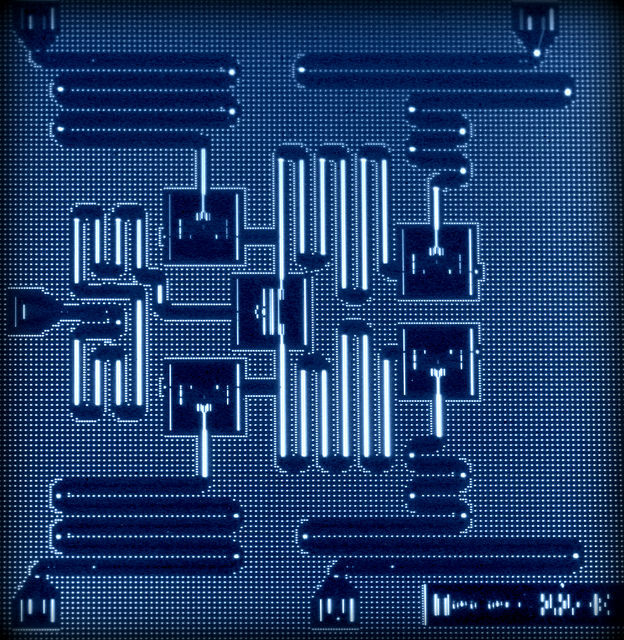 IBM employs superconducting qubits that are made with superconducting metals on a silicon chip and can be designed and manufactured using standard silicon fabrication techniques. Last year, IBM scientists demonstrated critical breakthroughs to detect quantum errors by combining superconducting qubits in latticed arrangements, and whose quantum circuit design is the only physical architecture that can scale to larger dimensions. Now, IBM scientists have achieved a further advance by combining five qubits in the lattice architecture, which demonstrates a key operation known as a parity measurement — the basis of many quantum error correction protocols. By giving users access to IBM’s experimental quantum systems, IBM believes it will help businesses and organizations begin to understand the technology’s potential, for universities to grow their teaching programs in quantum computing and related subjects, and for students (IBM’s potential future customers) to become aware of promising new career paths. And of course, to raise IBM’s marketing profile in this emerging field.